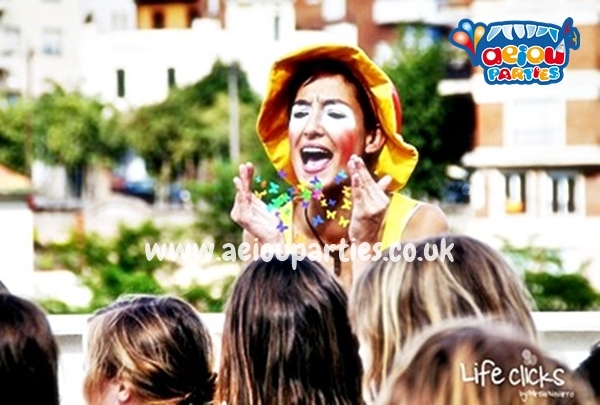 THE CLASSIC: A fantastic, fun packed celebration with one AEIOU children’s party entertainer. The fun starts with a little surprise for the special birthday person and is followed by games, music, dancing (always age-appropriate), face painting and balloon modelling for everyone. THE CLASSIC + CHILDREN’S MAGIC: Fun-filled package like the Classic (games + music + dancing + face painting + balloon modelling), plus a 20 minute magic show that will dazzle your eyes and mystify your mind. See other activities with magicians. THE CLASSIC + PUPPETS/STORYTELLING: Fun-filled package like Classic (games + music, dancing + face painting + balloon modelling) plus a 15-20 minute puppet show or interactive storytelling that will keep the attention of all the little eyes and ears. THE CLASSIC + SCIENCE: Yes, learning can be fun. You’ll learn much more than your vowels with AEIOU Entertainment’s Science Show package. A mad scientist will entertain everyone with games, theme music, face painting, balloon modelling and some surprisingly fun science experiments: making a volcano, inflating a balloon without blowing…. THE CLOWN SHOW: A clown (or two, if you dare) will make the youngest to the oldest party-goer roll with laughter. 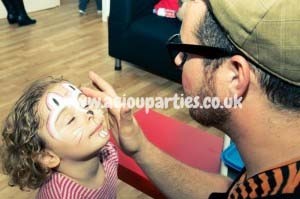 The traditional clowning around is accompanied by musical games and either a magic show, storytelling or a puppet show. 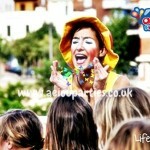 Check our activities with clowns. THE CHALLENGER: For children 8 years and up and our most energetic activity we offer! Any package will be adapted to include more teamwork and multi skilled activities and games such as treasure hunts, disco dancing with choreography, etc. 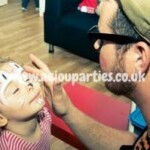 The best entertainment for kids party activities in London. Disclaimer: Our characters are NOT brand name, copyrighted characters. They are generic or public domain from storybook tales. 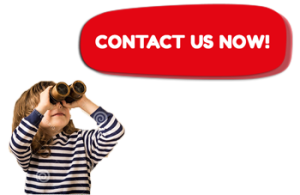 All clients booking us must be in acceptance that our entertainers are NOT representing licenced copyrighted characters or their stories. Please, do not confuse our characters with the Walt Disney Trademarked characters. AEIOU Parties has no association with the Walt Disney Company.